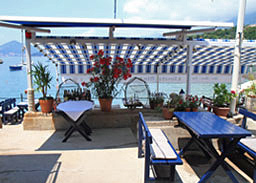 Konoba Langust is a restaurant located right next to the sea with a true Bohemian atmosphere. 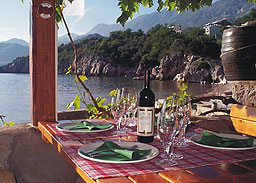 Beside fish, crabs, seashells it also offers specialties of the coastal, Montenegrin and European cuisine. 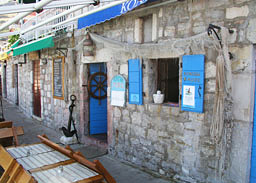 Konoba More is located in the very heart of Pržno. It is situated in an old fisherman’s house. Beside the special dishes of the fish cuisine, like the gilthead, dentex, sea bass, spiny lobster, langoustines and common octopus, there are also dishes from the Montenegrin and European cuisine. Fish restaurant Mlin is located in the authentic atmosphere of the mill for olives, over 500 years old. This is the oldest restaurant in Pržno, with a tradition that began over 25 years.